The bags are fairly small, and the calories per pack are just 166, so they aren’t too bad for a treat. 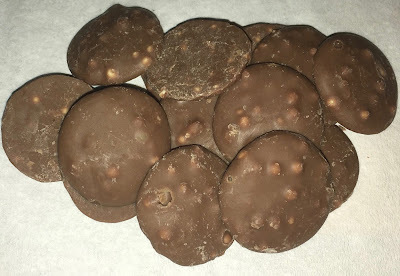 I poured out the contests to have a look, half expected flattened Maltesers, but found discs of milk chocolate speckled with Maltesers pieces. The flavour worked vey well, although proportionally there was more chocolate than Maltesers pieces, the maltiness still shone through. The buttons were easy to much on and fun to eat. The chocolate was thick when it melted, and felt rather soothing. 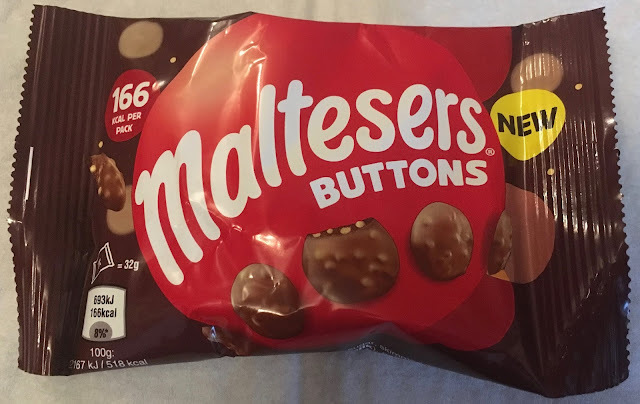 The Maltesers bits in the buttons still added crunch, and I liked the flavour of the buttons. These were a nice snack, and a good pick me up after a long day at work. Something I would buy again, if I didn’t already have another five bags sitting in the fridge!